Inspired by the first Tomb Raider video game, originally released in 1996, Lara Croft Tomb Raider: Anniversary is a totally new 2006 adventure for Lara, faithfully preserving the elements which made the original Tomb Raider such a classic. Using an enhanced "Tomb Raider Legend" game engine, the graphics, technology and physics bring Lara's adventure and pursuit of a mystical artifact known only as the Scion up to today’s technology standards and offer gamers a completely new game play experience. The puzzles are now more in depth and incorporate environmental interaction and physics driven solutions. 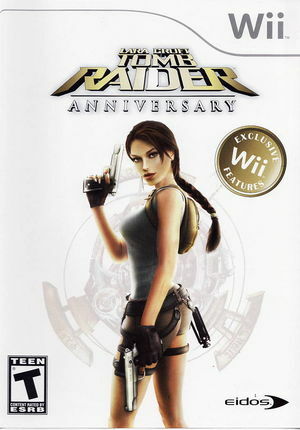 The level design and flow of game play are inspired by the original video game making Lara Croft Tomb Raider: Anniversary a brand new experience in gaming, while still invoking the nostalgia of the first adventure in Tomb Raiding. The graph below charts the compatibility with Tomb Raider: Anniversary since Dolphin's 2.0 release, listing revisions only where a compatibility change occurred. This page was last edited on 13 January 2018, at 15:05.